Thunder @ Nuggets NBA High Roller Free Best Bets for tonight. Charliessports.com produces it for Basketball Betting. NBA ATS Betting Picks are the best in the industry and will continue through the NBA Finals in June of 2019. We’re always providing BETTOR Friendly cards. Our signature 500* premium ATS Predictions are unreal & I promise you won’t regret purchasing, cash in Daily. The (38-21) SU, (33-26) ATS Oklahoma City Thunder are have lost two of three including a 116-119 loss to Sacramento as 6 point home FAVORITES AGAINST THE SPREAD. Oklahoma City is three games behind Denver in the Northwest division which is why tonight’s contest is necessary for the Thunder. The Thunder have dropped five of six against Denver since April of 2017. OVER bettors have cashed in the previous 7 Thunder games on Tuesday’s. The Thunder are 0-7 ATS the last seven between the teams. 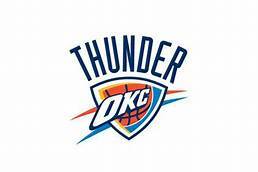 The OVER is 14-6 Oklahoma City their last twenty overall. OVER bettors have made a profit in 4 of Oklahoma City last five on the road. The (41-18) SU, (32-27) ATS Denver Nuggets look to build on their current four-game winning streak tonight in front of the home crowd. Denver took down the Los Angeles Clippers 123-96 their last game on Sunday. February 24, 2019. It was one of the 3-highly rated 500* Basketball Predictions in which Charliessports.com swept the board. Denver is 7-1 vs. Northwest division opponents this season. Denver is 6-1 AGAINST THE POINT SPREAD their last seven at home vs. Teams with an SU winning record. The UNDER is 4-1 Denver last five overall. The UNDER is 6-2 the previous eight between the teams. Denver is 4-1 ATS their last five against Western Conference foes. Tuesday’s game is 10:35 PM EST at Pepsi Center in Denver, Colorado. The TNT network will be broadcasting. The Betting Line has Oklahoma City as 3 point road UNDERDOGS ATS. The TOTAL is 238 points for Tuesday’s contest. All-Stars Paul George (26.7) points per game and Russell Westbrook (26.3) seemed to have found a way to make each other efficient in the Oklahoma City Thunder offense making the team a threat to Golden State in the West. Head Coach Billy Donovan deserves much of the credit for allowing the two to perform at a high level without damaging egos. The Thunder scores an average of (116.0) ppg on offense which ranks third league-wide while the (110.9) ppg they allow opponents is 13th in the NBA. Center Steven Adams (10.6) ppg with a team-best (60.6%) shooting from the field is underrated with his role as a force in the post. The former University of Pittsburgh standout embraces his role and can compete with the elite from either conference. The top team of NBA Handicappers at Charliessports.com believes Oklahoma City has the ingredients to make a statement tonight against a Nuggets team that they’ve scored just (98.0) against in both losses this season. A key for a Thunder victory is to force the pace which is where they excel. However, it won’t be easy, and Donovan may out guess the oddsmakers by using tonight as a chance to work on his team’s playoff offense; NBA games always slow down in the postseason. Bovada.Lv list the Oklahoma City Thunder wins total at 50′ games for 2018-19. Denver Nuggets head coach Mike Malone was selected to coach in the 2019 NBA All-Star game last week, and the Nuggets are back to winning as we resume the rest of the season. It’s been a historic season for the Nuggets after being the only team from the Northwest who didn’t make the 2018 playoffs. However, there are those who believe they don’t have what it takes to compete with the elite in a seven-game playoff series. This Sports Handicapper believes they would lose to the Los Angeles Lakers in a postseason matchup although they’ll be the higher seed. It’s been the effort on defense that’s gotten the attention of opponents this season as the Nuggets 7th ranked scoring defense allows opponents (106.8) ppg. What’s more impressive is that they’ve shown the can score the basketball by breaking the century mark the past ten games. All-Star Center Nikola Jokic (21.8) ppg garnishes most of the attention but veteran power forward Paul Millsap (12.5) ppg bring a sense of toughness in the post that can’t be denied, and he’s crafty. Charliessports.com likes Oklahoma City+3 to squeak out a cover as they’ll come out with intensity at both ends. Bovada.Lv list the Denver Nuggets win total at 47′ games for 2018-19. Free Pick. Oklahoma City+3. Also Play Online Poker Plus Other Casino Games and enter some of the best Tournaments on the World Wide Web. Sacramento Kings @ Denver Nuggets NBA Betting preview for Tuesday, October 23, 2018. Written by National Basketball Expert Analyst Al Presto. Charliessports.com produces it for Basketball Betting. NBA Daily ATS Predictions are the best in the industry and will continue through the NBA Finals in June of 2019. The (1-2) SU, 2-1 ATS Sacramento Kings of the Western Conference Pacific division got their first SU win of the season Sunday as an eleven point road UNDERDOG ATS in Oklahoma City. 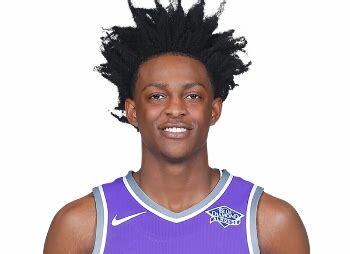 Former University of Kentucky standout De’Aaron Fox scored 22 points, had eleven assists and four rebounds as Sacramento took a twelve point lead into halftime before getting outscored in the third quarter. However, the youthful Kings came away with the 131-120 victory. Iman Shumpert led the Kings with twenty-six points. Sacramento is gaining confidence as they beat a team that has Russell Westbrook and Paul George. Sacramento is 4-0 ATS in their last four road games vs. Teams with a winning home percentage of more than .600. The Kings are 1-5 against the POINT SPREAD the last six times the teams have played. The UNDER is 5-3 the last meetings between the teams. The (3-0) SU, 3-0 ATS Denver Nuggets are glowing after their 100-98 home win as a 4 and a half point ATS favorite over the defending NBA Champion Golden State Warriors on Sunday, October 21st. 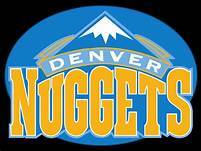 Denver outrebounded Golden State by 15, and Gary Harris scored a team-high 28 points as the Nuggets overcame a 25-17 first quarter deficit. 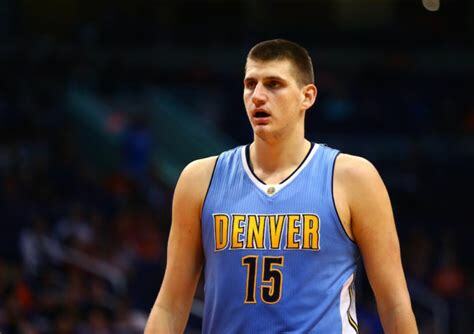 Center Nikola Jokic added twenty-three points in the victory. Monte Morris came off of the bench to do a good job at point guard. The OVER is 6-2 the last eight between the teams in Denver. UNDER bettors have cashed in the last four times, the opponents have allowed more than 100 points in the previous game. Denver is 4-0 ATS after scoring 100 or more points the prior NBA contest. The Nuggets 5-0 ATS their last 5 when the opposition allows 100 or more points their previous game. 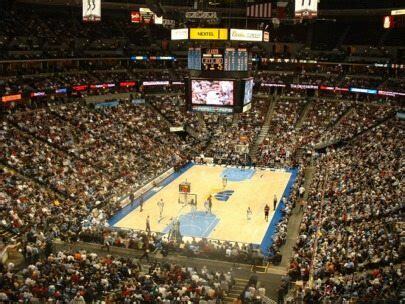 Tuesday’s game is at 9:05 PM EST at Pepsi Center in downtown Denver, Colorado. Local Television Network will be broadcasting. The Opening Betting Line has Denver as an eleven and a half point home FAVORITE ATS. The TOTAL is 227 points for Tuesday’s contest. Dave Joerger is in his third season on the bench in Sacramento and after playing last year in their luxurious arena fans expect the Kings to take it to the next level. They began the season with a six-point SU loss to Utah as an eight and a half point home UNDERDOG ATS. They’ll return to the Golden One Center to host Memphis on Wednesday, October 24th, before entertaining Washington on the 26th; playing three games in four days shouldn’t affect a young team. The Kings will the then head East for a four-game Eastern Conference road swing. Point Guard De’Aaron Fox continues to grow as he’s shooting over 50% through the first three games. Another Kentucky Wildcat alumni are also stepping up his game, Willie Cauley-Stein is averaging 18.7, and his agility can be a matchup nightmare for the opposition. Imagine if Skal Labissiere who also was coached by John Calipari plays up to his ability in his second season in Sacramento! 2018 second overall draft pick Marvin Bagley III is averaging 12.7 ppg, 4.7 rpg in a little over 22 minutes per game. Joerger must continue to play with pace as he understands Fox excels when they’re running the floor. Bovada.Lv, list the Sacramento Kings at +15,000 to win the 2018-19 NBA Western Conference Pacific Division. After finishing fifth in the Northwest division, last season Nuggets head coach Michael Malone has fans in Denver liking what they’ve seen through three games early in 2018-19. 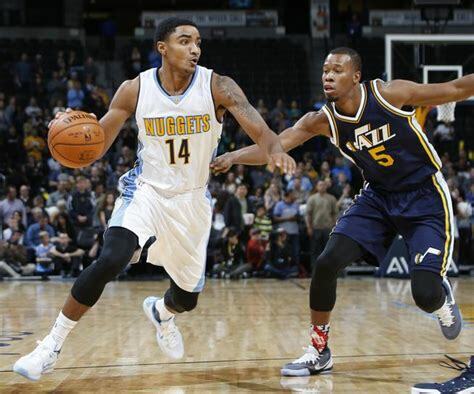 Last year the organization signed guard Gary Harris to an $84 million extension. 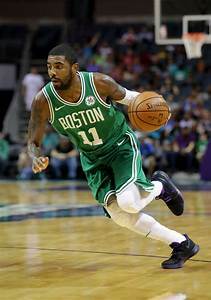 The former Michigan State star showed he showed he is capable of performing against the elite teams in the West with his performance in Sunday’s win over the Warriors. Forward Paul Millsap is in his second season since coming over from Atlanta and lead the Nuggets with 10.7 rebounds along with 1.3 shot block per game. Center Nikola Jokic is turning into a second round gem in his fourth season, leading the Nuggets in scoring, assists, and steals which is unusual for a big man. The Serbian also recorded his second double-double of the season in Sunday’s win. Denver averages 108.7 ppg through three games but it’s their top-ranked defense that’s paying, and the team must continue to excel in the category. Jokic will have his hands full with Cauley-Stein but should be able to take him out of the post. Also, Fox will want to run, and it’ll be up to Jamal Murray along with Monte Morris to defend. Bovada.Lv, list the Denver Nuggets at +350 to win the 2018-19 NBA Western Conference Northwest Division Crown. Free Pick. Sacramento+11 Points. Also Play Online Poker Plus Other Casino Games and enter some of the best Tournaments on the World Wide Web.